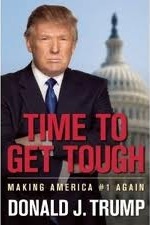 This book, published in December 2011, prepares for Donald Trump's entry into the 2012 presidential race. Trump's previous political book, The America We Deserve, prepared for Trump's entry into the 2000 presidential race. In 2000, Trump ran as a populist. In 2012, Trump will run as a conservative. This book outlines the changes in Trump's views that have occurred over the past dozen years, establishing his new conservative credentials. Trump explains in this book why he wrote it: because the US is in an economic disaster (p. 1); because he thinks America deserves better (p. 7); and because Obama has scuttled the American Dream (p. 4). He claims that his previous book was his worst-selling book because people don't want to hear from him on politics (p. 43), so he doesn't expect to make money on this book either. In summary, Trump wants to make his views known, and he clarifies why: "Citizens need to know the values and principles their president will rely on to lead America," (p. 87) and then he outlines HIS values and principles by which he would lead America. This book is almost exclusively about policy issues, but Trump does squeeze in some personal details. He claims that he discovered Lady Gaga (p. 171) by providing her first international appearance; he expresses his views of the press (negative); he has lots of pictures of his family. But there's nothing about his personal background here except a couple of pictures from his childhood. He does, however, include a full financial disclosure form (pp. 180-2), as required of all presidential candidates -- his net worth is $7.0 billion. Note that Trump's abortion, gun control, and gay rights stances are not mentioned in his new book at all. Those are the Big Three from previous presidential races, known as "God, Guns, & Gays." All three are controversial, and Trump evidently decided to avoid controversy in the book, making his transformation on these issues known in other public statements outside the book. Note also that since 1999, Trump has been consistently anti-immigration, anti-free-trade, and pro-defense -- he hasn�t changed his stances on everything! In summary, Trump was a conservative-leaning moderate populist in the 2000 race; he is positioning himself as a more hard-core conservative in the 2012 race. So will Trump enter the 2012 race? Well, we hope so. He changed his voter registration from Republican to independent in December 2011. He will not run as a Republican -- it's too late to get into many of the primaries now anyway -- and of course Trump has the financial wherewithal to run an independent campaign. Trump may bid for the AmericansElect nomination, or he may just run on his own. Why do we think he'll run? Trump has stated repeatedly that he would re-enter the 2012 race as an independent if he doesn't see a Republican nominee who can beat Obama and who represents conservative values. Trump has made it clear that he does not think Mitt Romney can beat Obama and does not think Romney represents conservative values. Trump has been supportive of Newt Gingrich, so we predict that Trump will re-enter the race when Speaker Gingrich drops out. That will likely occur after Super Tuesday, March 6, but that depends on how Gingrich does in the primaries until then. Trump cannot formally announce until after his TV show season ends in May -- but we'll know informally before then! Ronald Reagan: Supply-side economics is just common sense. Tea Party: Tea Party made all politicians look seriously at $15T debt. Barack Obama: At a certain point, you've made enough money. Barack Obama: Michelle Obama: Work for community, not corporate America. Donald Trump: 0% corporate tax would create millions of jobs. Donald Trump: Fight crony capitalism with a level playing field. Ronald Reagan: Businesses don't pay taxes; it's all passed on to customers. Barack Obama: Cap-and-trade will cause electricity rates to skyrocket. Barack Obama: OpEd: $525M to Solyndra solar panels, a big Obama donor. Donald Trump: No Cap-and-Tax: oil is this country's lifeblood. Donald Trump: Jobs will slump until our lifeblood--oil--is cheap again. Donald Trump: Enough natural gas in Marcellus Shale for 110 year supply. Donald Trump: Libya: No oil, no support; no exceptions. George W. Bush: 2008 NOPEC anti-cartel bill would spark retaliatory action. Donald Trump: FactCheck: Yes, hybrid family vehicles are available in US. Barack Obama: Deal with Russia: no new missile defense in Eastern Europe. Donald Trump: China is our enemy; they're bilking us for billions. Donald Trump: When you love America, you protect it with no apologies. Donald Trump: By 2027, tsunami as China overtakes US as largest economy. Donald Trump: Fair trade instead of embarrassing deal with South Korea. Donald Trump: Repatriate jobs that China has been stealing. Donald Trump: 20% tax on all imported goods. Frank Wolf: Bring Jobs Back to America Act: on-shoring back to America. Donald Trump: Kill ObamaCare before it becomes a trillion-ton weight. Donald Trump: Increase insurance competition across state lines. Kathy Hochul: OpEd: Changing Medicare scared the heck out of seniors. Donald Trump: American interests come first; no apologies. Donald Trump: All freedoms flow from national security. Lindsey Graham: Canceling Pole/Czech missile defense capitulates to Russia. Donald Trump: 351,000 illegal aliens are in our prisons; costing $1.1B. Donald Trump: Anchor babies were NEVER the intent of the 14th Amendment. Donald Trump: Invite foreigners graduating from college to stay in US. Donald Trump: Triple-layered fence & Predator drones on Mexican border. Donald Trump: Raising business tax causes businesses to move jobs overseas. Donald Trump: No more morning in America; we'll be mourning FOR America. Donald Trump: 5-point plan to return America to her former greatness. Donald Trump: USA is the greatest force for freedom world has ever known. Rick Perry: Debates are just not my thing. Donald Trump: Social Security isn't an "entitlement"; it's honoring a deal. Donald Trump: Disability Racket: $25B in fraudulent disability filings. Ronald Reagan: 1983: Ironclad commitment to Social Security. Donald Trump: Cutting tax rates incentivizes a strong national work ethic. Donald Trump: 4 brackets; 1-5-10-15%; kill death tax & corporate tax. John F. Kennedy: 1962: Paradoxically raise revenues by cutting tax rates. Ronald Reagan: System that penalizes success and discourages work is wrong. Donald Trump: China threatens US with cyber warfare & industrial espionage. George W. Bush: Covert program to undermine Iran nukes with cyber attack. Donald Trump: Iraq should pick up the tab for their own liberation. Donald Trump: Stop Iran's nuclear programs by any & all means necessary. Donald Trump: I don't like firing people; work makes people better. Donald Trump: Food stamps should be temporary; not a decade on the dole. Donald Trump: Apply welfare-to-work to 76 other welfare programs. Making America #1 Again, by Donald Trump.